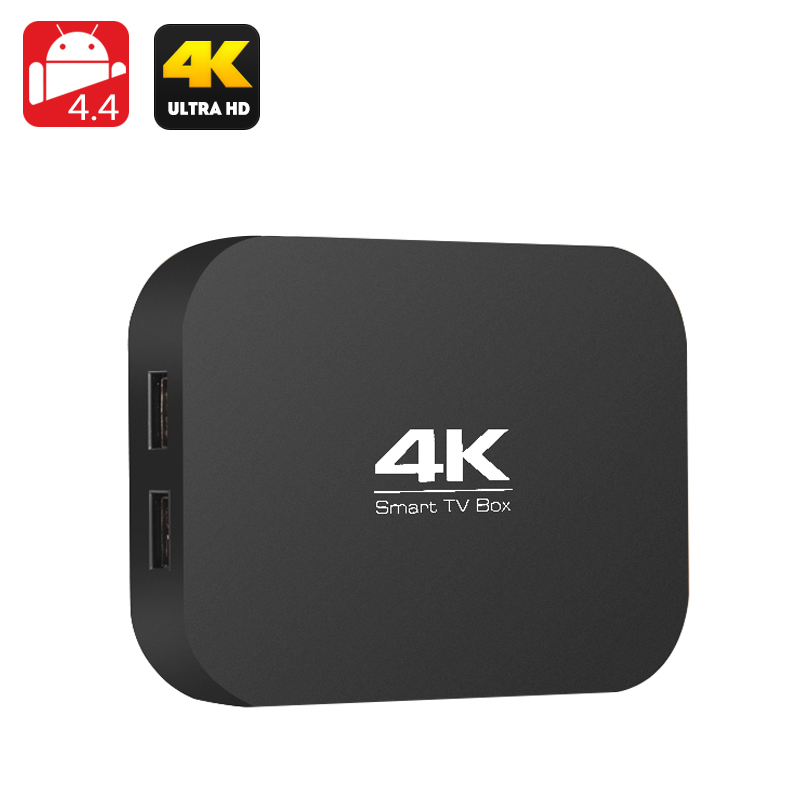 Successfully Added A400 H3 4K Quad Core TV Box - AllWinner H3 1.2GHz CPU, 1GB RAM, OTG, Miracast, DLNA, Airplay, SD Card Slot, Android 4.4 to your Shopping Cart. Be blown away by the spectacular 4K delights of television with this A400 H3 TV box. Supporting resolutions of 4Kx2K lets you unleash the full power of a 4K TV and even if you don't have one yet will ensure your entertainment system is fully future proof. Its Quad Core chipset and powerful Mali 450 GPU let it seamlessly bring top quality images to your TV screen for the ultimate viewing pleasure. 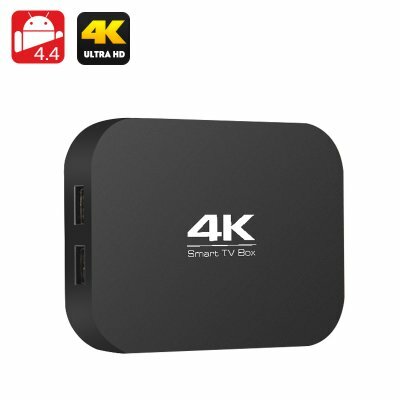 With a RJ45 port you can connect this mini TV box directly to your home network and enjoy the latest movies and shows in high definition through its Kodi support, alternatively you can surf the net and partake in online chats. With a Mali 450 GPU and 1GB of RAM this TV box is capable of turning your living room into a media sensation and the A400 H3 brings enough power for you to enjoy Android games form the preinstalled Google Play store. Miracast, DLNA and Airplay allow you to share content from other devices as well such as smart phones and tablets so as you can wirelessly view movies as they play on your phone, share pictures or bring that cell phone game to life on a bigger screen as you show off your skills to friends and family. Boasting two USB and an OTG port makes file transfers through a memory pen super fast and also allow for many other devices to be connected such as a game pad or keyboard. There is an SD card slot that offers extra storage space up to 32GB so movies and games will have plenty of space. Located on the rear you get AV out, LAN, HDMI and an SPDIF port so you can connect a killer sound system, which lets you turn your living room in to a full on cinematic experience. This affordable 4K TV box comes with 12 months warranty. Brought to you by the leader in electronic devices and wholesale TV Boxes, Chinavasion..